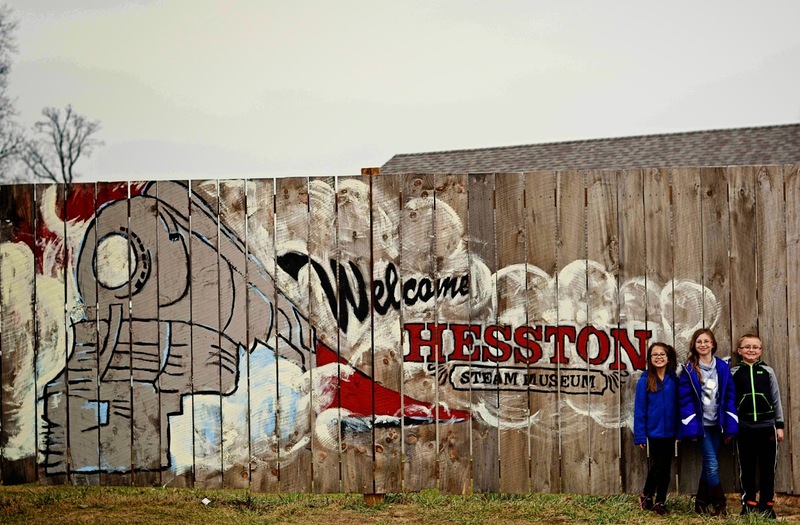 Last year we went to the Hesston Steam Museum at Christmas. It was a very cold and miserable day, so the trip wasn't one we were wanting to repeat in the winter again. Sunday was shaping up to be a nice day, so we thought we'd give it another shot. 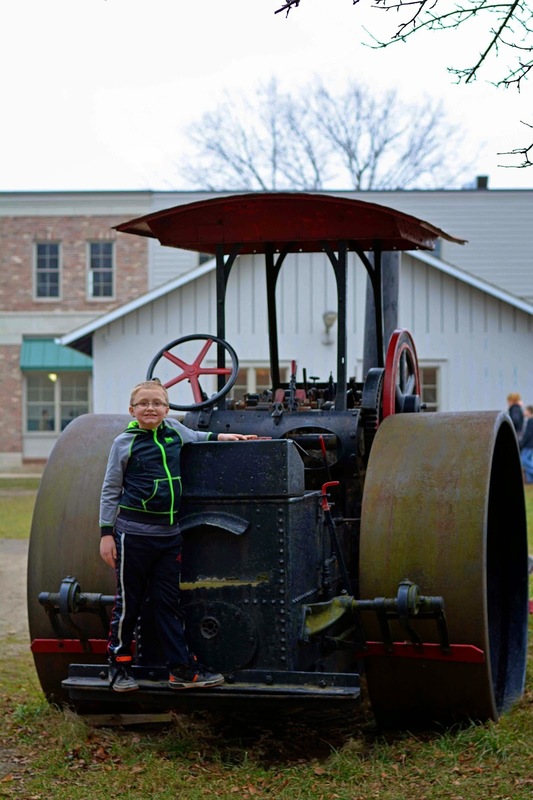 We rounded up my niece and nephew and headed out to check out the old steam trains. 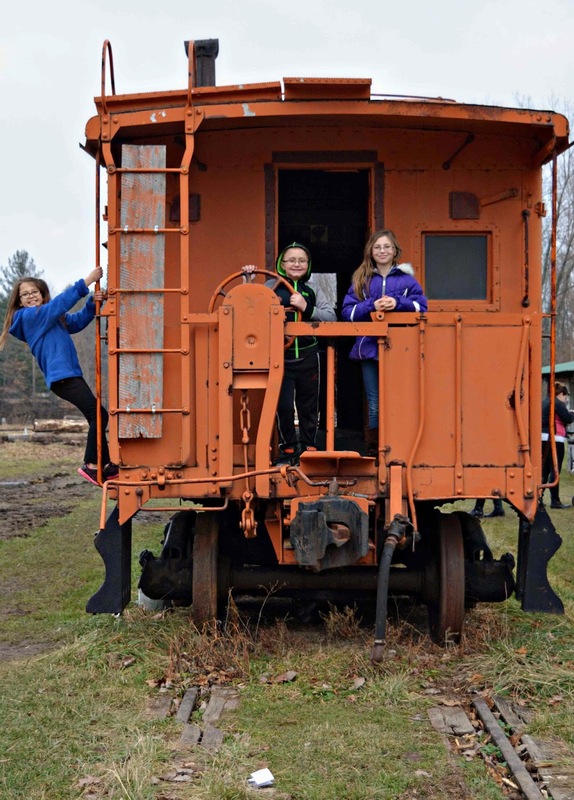 They didn't have as many trains and old cars out like they do in the summertime, but we came across a few for some fun photo opps. For the price of 1 donated toy, you could get a ticket to ride the train for free. 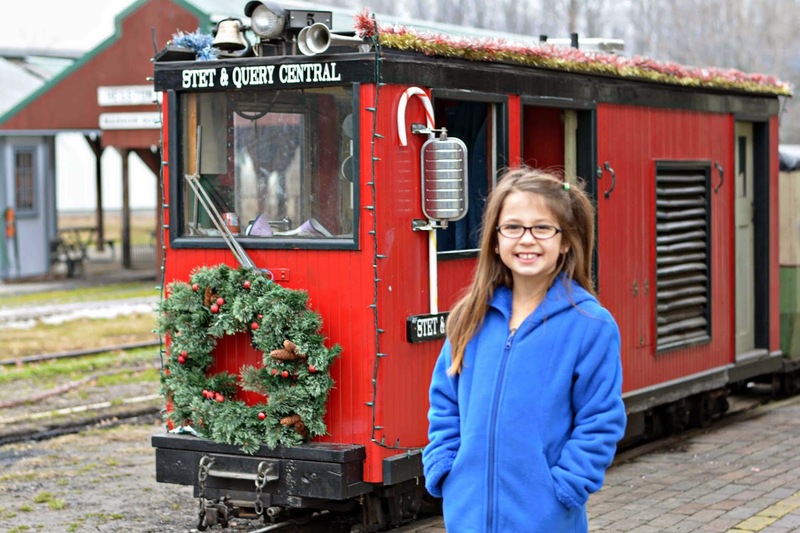 They also have a meet and greet with the big man, Santa Claus, in one of the old cabooses, but we skipped it this year since it was so nice out the line was pretty long. Overall, a much better day to make a visit than last year's! Have you ever been on an old steam train? 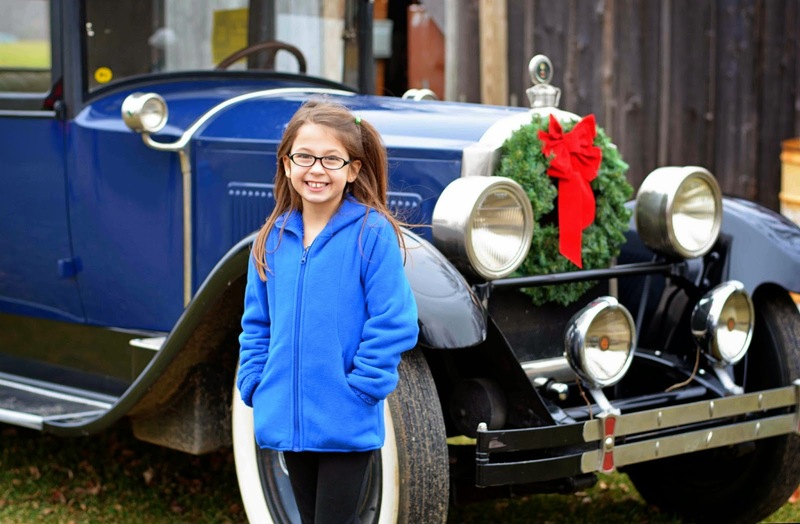 My dad loves old cars and railroads so we so plenty of both. I still love the trains and the sound of trains in the night. This does look like fun and meeting Santa to boot. 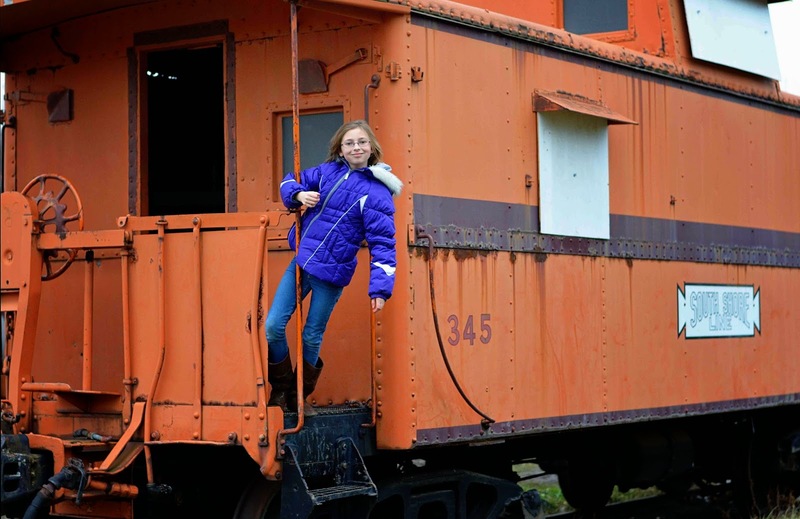 I have been on a train in Titusville, Pa where it takes you around for a fun trip. Not sure if it was steam or not. Probably since it was really old. Looks like an awesome place! And those are GREAT pics!!! That looks like so much fun! My boys both love trains! How fun! 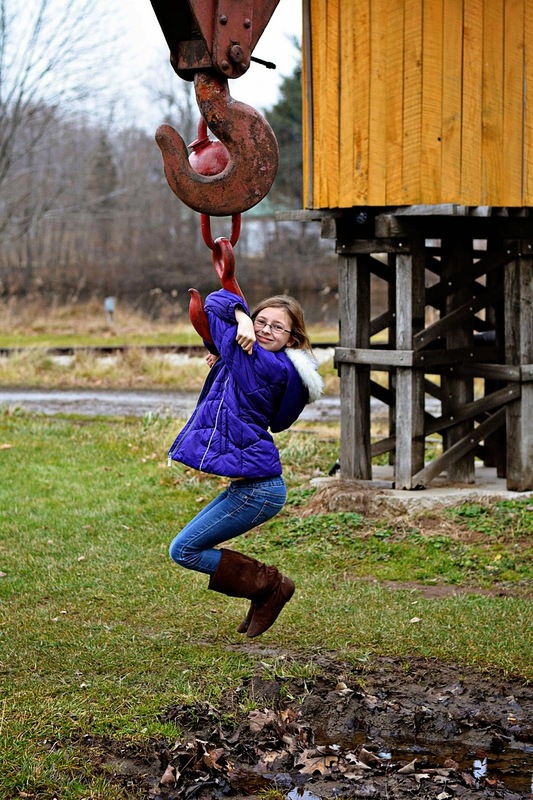 You got some great shots of Allison and your niece and nephew. That looks like a great visit. My kids would love it. They got into Team GeoTrax, Thomas, Polar Express and Chuggington. I've never visited an old steam train. My son would have a field day at this. And you got some great photos!! That looks ;like fun! No I have never been on or seen an old steam train but I would love to. This looks like it would be a lot of fun! My kids were obsessed with trains when they were little. It's pretty incredible that such powerful machines used steam engines. Trains are so fascinating. Lots of photo opportunities there! 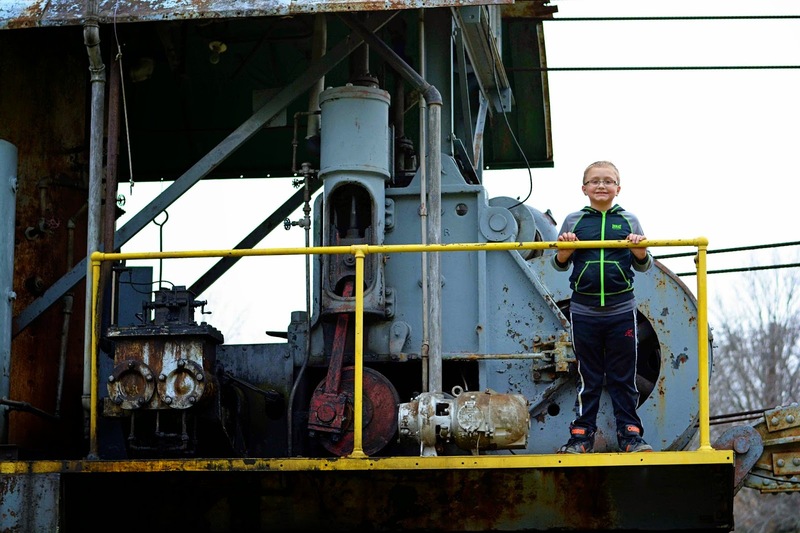 There are a few train cars down at the old depot in our town that we go take pictures on/around sometimes. That looks like so much fun. I love old trains and big machinery like that. It looks like the kids had a great time. I love your pictures. Those trains look so cool. Looks like they had a great time. My son would have loved this he has always been a fan of trains and old cars. Oh wow! This looks like a great time. My kids would really enjoy this place. This looks like a great way to spend an afternoon. It looks like your kids had lots of fun. Oh how fun! From the photos it looks like they had a great time. My kids would love to visit a place like this! Even with the weather it seems like they had a lot of fun. I've never visited old steam trains and would love to visit myself one day. Every museum review here makes museum sound far away from boring. 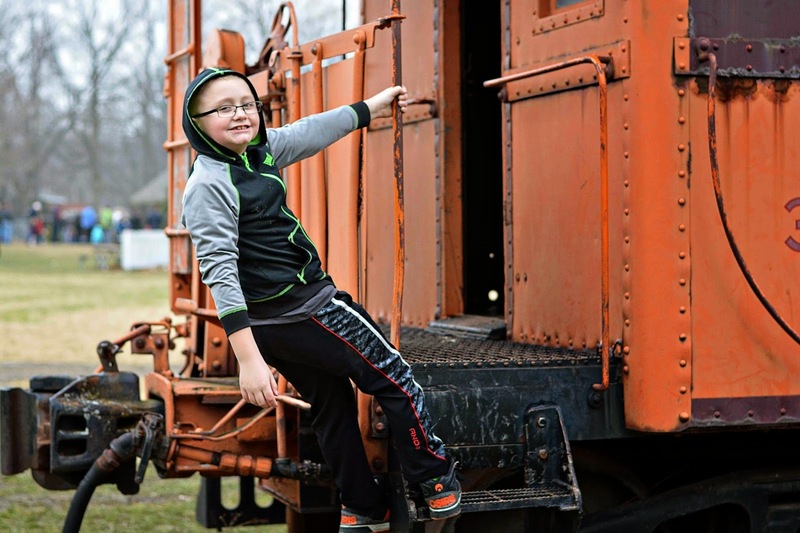 Old steam trains would be something my boys love so much! Great photos Theresa! What a cool place to visit. Love all the great pics of the kids!! I have been on an old steam train at our local museum. They are pretty amazing! We have a Steam Train Museum about an hour away. It has the North Pole train and we've taken the trip a few times over the years. It is a lot of tun. The actual train was used as the inspiration for the movie. This looks like an incredibly memorable trip! My train obsessed little guy would love this! Beautiful images too. Oh, how fun! 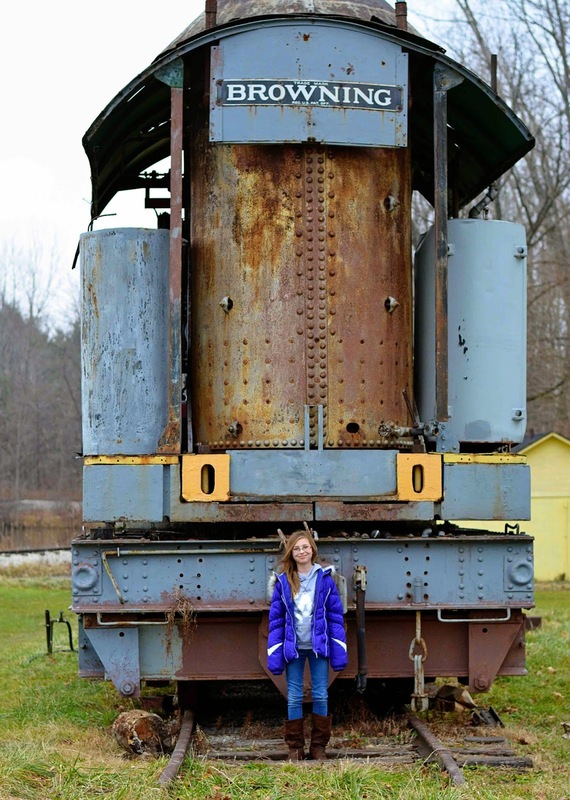 My brother use to be obsessed with trains so we went to things like this all of the time! What an amazing place to visit with the kids. You took great photos, too! I just saw this on G+ and came to see. This does look like such a fun place to visit, and you got some great photos! That one train is huge! My boys would probably like to visit. Your family is too cute and adorable. I am sure you guy made some amazing memories here! I have not. My son loved trains when he was younger and my step-dad has a train collection that is worth a LOT of money. :) Looks like you guys had a blast!